FogKicker is a natural, safe and bio-degradable anti-fog solution that is 10x more water resistant than any other anti-fog on the market. 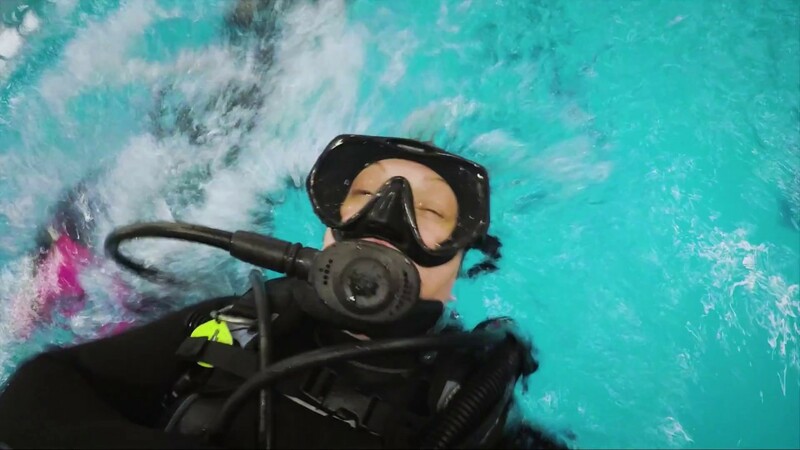 Scuba diving with a fogging mask can now be a thing of the past. Yinyong Li and Marc Gammell, co- founders of FogKicker, developed their 100% natural anti-fog solution that prevents fogging masks from plant cellulose. Cellulose is a naturally occurring water absorbing plant fiber that is found in paper and cardboard. An innovative technique is used to breakdown cellulose into its smallest components called Nanocellulose. Nanocellulose is super strong and absorbent. It is also safe to use, 100% bio-degradable and is a key component in their high-performance anti-fog solution. Preventing a fogging mask can now be as simple as applying a coating of the FogKicker ant-fog solution. It provides an invisible film that absorbs moisture and lasts for multiple dives and swims. Watch the following video to see how FogKicker easily solves your fogging dive mask problems. See next page below for more details about how this product was developed and how to use it.